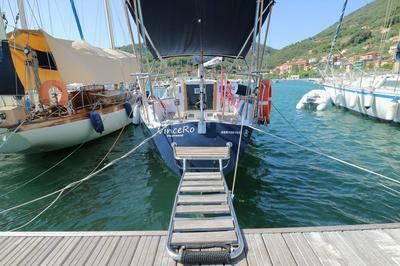 We are selling our perfectly formed 30 foot sloop, which is currently located on the Italian Riviera. 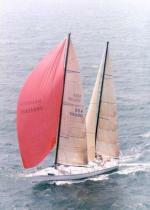 We are Chris (Brit) and Rossella (Italian) from the YouTube Channel 'Sailing Britaly'. We are trading up to a bigger boat, so are extremely reluctantly selling our first love, Vincero. Electronics: Autohelm 200 tiller pilot (autopilot), Raymarine ST40 speed (Shows current, maximum and average boat speed, log, trip and sea temperature), Raymarine ST40 Depth, COBRA DSC fixed VHF radio, Midland Atlantic portable VHF radio. 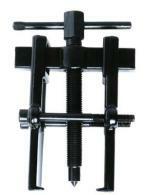 Miscellaneous: Bower anchor – Bruce anchor with stainless steel swivel and 50m of 6mm galvanised steel chain. Kedge anchors – 2 x Danforth anchors approx 20 kg and 10 kg with one 10 m length of 6 mm chain and 60 metres of Nylon three strand rode. 700 W anchor windlass with separate chain and rope gypsies and wired remote control system. Shore power system with RCCB, circuit breakers and galvanic isolator. 1 x start battery and 2 x house batteries (100 Ah), with ‘battery separator’ dual charging system. Intelligent battery charger. 2 x 100 Watt solar panels with MPPT charger and remote display. 12 volt fridge with small ‘freezer compartment’ within cold heat exchanger. 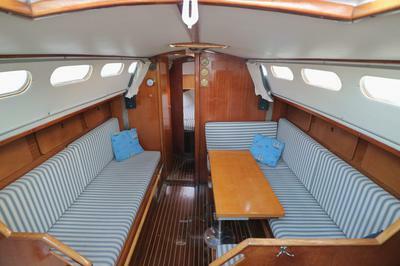 Hot and cold pressurised water system with 12 volt pump, boiler and accumulator supplying pull out showers in head and cockpit and galley faucet. 2000 Watt (peak) 12 Volt DC to 240 Volt AC inverter. Stereo system with CD player, USB input and 2 external speakers. Propane stove with 2 burners (and external propan tank). 6 x Fenders. Mooring lines and a selection of various on spare lines on board. The best way for you to see our boat is to watch our full boat tour video, which you can find on our YouTube Channel. It is our intention to sell this boat in the next 4 weeks so please don't delay if you think you might like to buy her. We are selling her for £16,000 GBP. 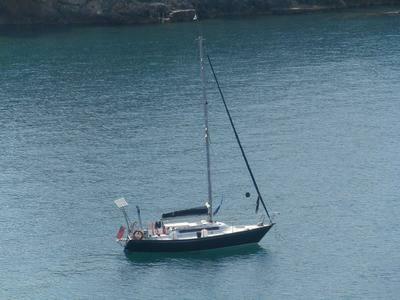 This boat is set up for living on the hook, so if you want to start an adventure in a beautiful part of the Mediterranean, with this boat you can do so this season, without wasting time on a refit before you can start enjoying life afloat.